At Seaholme Kindergarten we believe children grow, develop and learn through play. Our kindergarten programs provide children with the opportunity to investigate, experiment and discover new experiences at their own pace. We strive to nurture each child’s sense of independence and creativity while encouraging a genuine love of learning. We offer a flexible educational program within a safe, warm and caring environment. We plan many special events and celebrations throughout the year, which involve the whole family. The educational program at Seaholme Kindergarten is emergent and planned according to the children’s interests, needs and strengths as well as incorporating ideas from families and the local community. We are proud of our partnerships with families, and we aim to adapt our learning program to meet the changing needs of our community through your feedback. 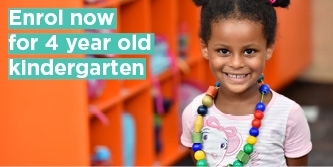 As a community-based kindergarten, local community and cultural events are incorporated into our programs. We strive to ensure children are socially and emotionally ready not only for school but also for life. We have a big bright classroom and a lovely large playground. Both our indoor and outdoor environments facilitate all children’s learning and provide them with a range of natural and manmade equipment. 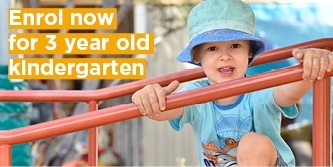 Your child can explore, discover and play in a safe, clean and stimulating environment. We also believe respect and care for our environment should begin at an early age and incorporate this into our programming. We recognise the importance of physical activity and outdoor play. Our outdoor area has been meticulously designed and features plenty of different areas for the children to engage in play with. Above all, our outdoor space is the perfect environment for your child to have fun!